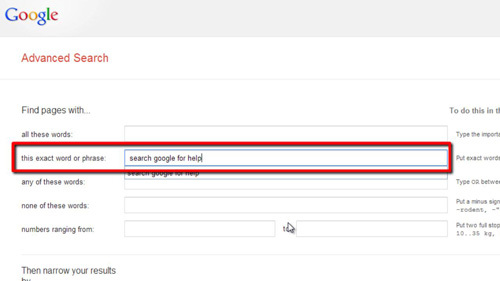 In this tutorial you are going to learn how to search google exact match, both by using the advanced search options and a useful shortcut. 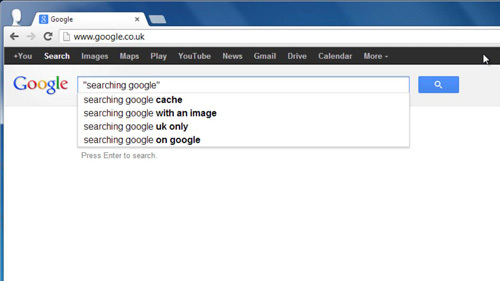 Navigate to your preferred Google search, here we are using “www.google.co.uk”. 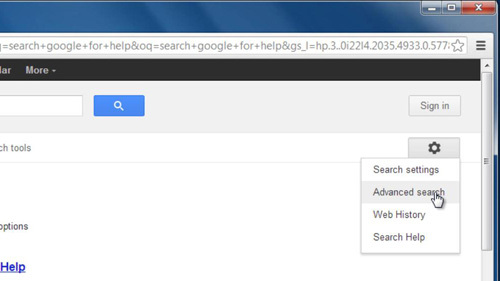 Type in the search term as you normally would (here we are searching for “search google for help”) and press return. On the search results page look to the top right hand corner for an icon that looks like a cog, click on this and in the menu that appears click “Advanced search”. You will now be presented with a great deal more search options. Cut the search term from the first text box and paste it into the one below that reads “this exact word or phrase”. Now go to the bottom of the page and click on the “Advanced Search” button. You will go back to the search page, but this time only be presented with results that exactly match the search criteria and that is how to search google exact match. Alternatively, you can use a shortcut to get an exact search. Go back to the Google homepage and type your search criteria, but this time put speech marks before and after it. Press return and you will only get results that exactly match the search term.